W hen ready, the rough staves are transferred to our workshop to be prepared and made into final staves: they recover their original blond oak color and take on a convex shape. 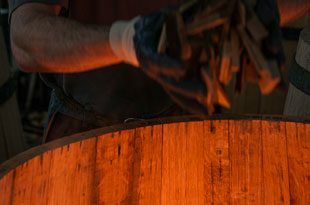 Each stave is systematically controlled by hand to ensure it has all the necessary qualities to form the shape of a barrel. The cooper then lays out the staves according to their width so as to obtain the necessary form for the barrel. The staves are then placed vertically inside hoops to from the shape of a rose: the first stage in making a barrel. 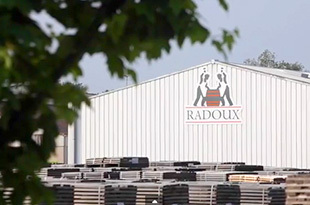 Pre-toasting is the first phase of Radoux’s toasting process. 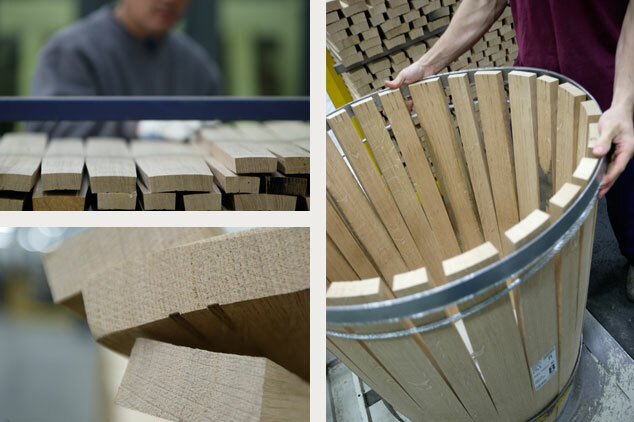 Through its measured thermal contribution, it enables us to prepare the wood so that it can be shaped into barrels. 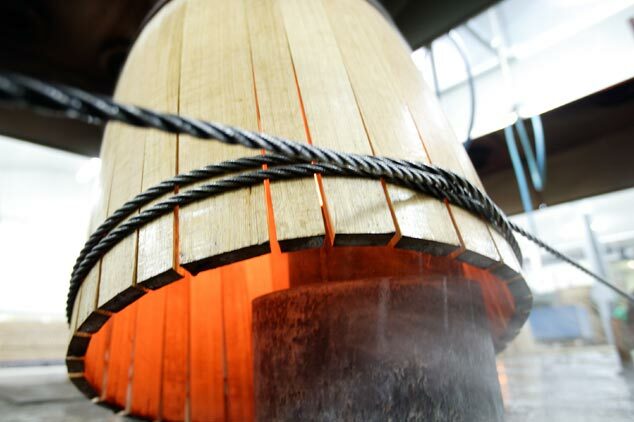 This first phase of pre-toasting and humidification allows the staves to be tightened at the base and for the toasting hoops to be positioned at the other end: the staves are gradually tightened together and the barrel takes on its final shape. 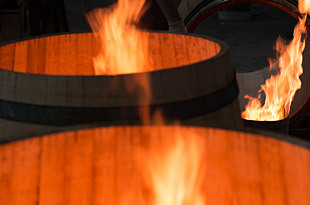 The second phase of Radoux’s toasting process is a slow and prolonged heating of the tightened barrels. 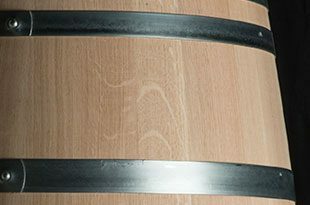 It helps both to fix the final shape of the barrel, and to generate the aromas in depth. 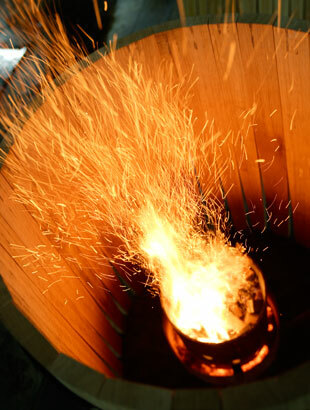 The « bousinage » involves raising the temperature to toast the wood in depth. It helps obtain a harmonious and durable development of the aromas in the area of exchange between the wood and the wine. « Bousinage » has been studied in depth from the point of view of diversification of techniques and the basic parameters such as time and temperature. 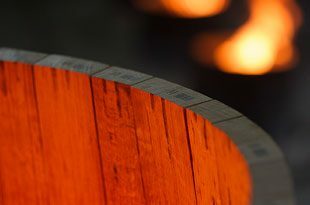 Depending on the length of the toast, the intensity of the flame, the temperature, the organoleptic profile of the wood varies in composition : several toasting profiles, with or without toasting of the heads, have been studied by our engineers, in order to give each wine the most suitable barrel. Radoux has organized its toasting process so as to obtain a homogeneous toast from morning to night. 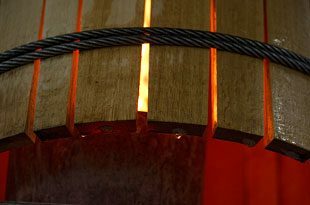 One person has full responsibility for keeping the braziers supplied with wood in order to maintain a regular flame. 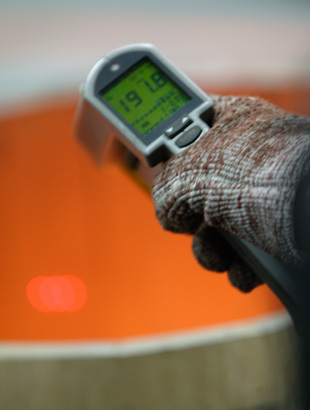 While the control of the temperatures is carried out by an infra red pyrometer with laser sight, the toasting process is still a manual craft, carried out over braziers fed by oak pieces left over from the trimming of the staves, and permanently supervised by two master coopers. Once the heads have been positioned by hand, each barrel is scalded: it is filled with hot water, then put under pressure, thus revealing any possible leakages. 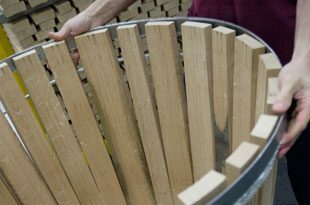 Once the barrel has been approved, the hoops are removed and the barrel is sanded to obtain a perfect finish. The final galvanized hoops are then put in place according to the specific requirements of our customers. Chestnut hoops are used for our Tradition barrels. A second scalding is carried out to check that the barrel is completely watertight. 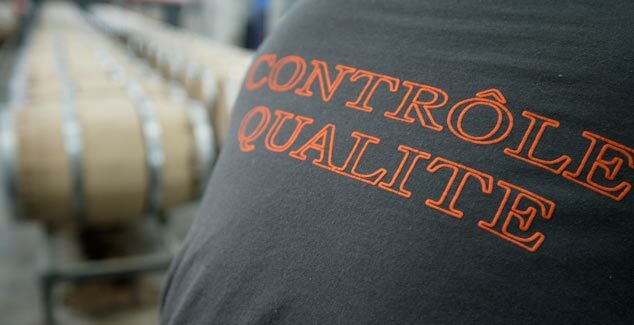 Finally, each barrel is marked by laser with the cooperage’s logo and personalized upon request. 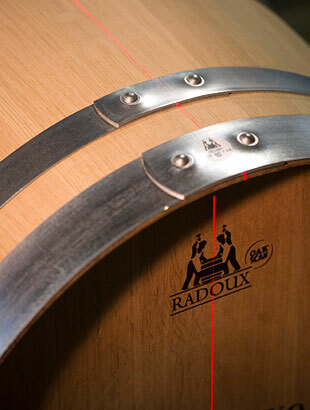 Radoux is the first cooperage to have applied this technology, guaranteeing a perfect finish. 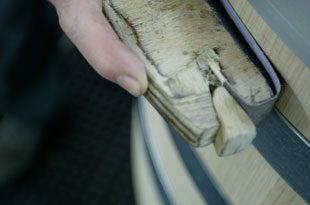 Before dispatching the barrels, Radoux carries out a third check for water tightness, using an exclusive method of air pressure, revealing any possible defects induced during sanding. Each barrel is then carefully packed, together with an instruction manual.